Son of Mr. and Mrs. Russell Lee Rumble. Granville served as a Fireman, Second Class, Minesweeper USS YMS-427, U.S. Navy during World War II. He resided in Baltimore, Maryland prior to the war. 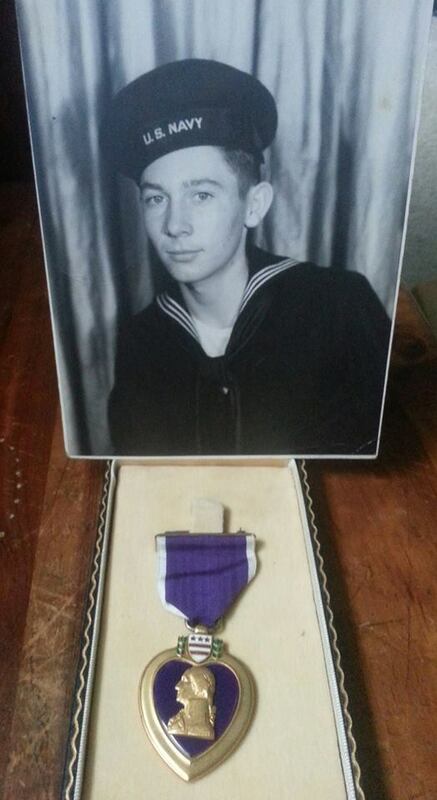 Granville was “Killed In Action” during the war and was awarded a Purple Heart. Killed in Nakagusuku Bay, Okinawa, as a result of shrapnel wounds received by direct hit on ship from enemy shore battery. On April 7th 1945 while sweeping mines in the Company with USS YMS-1, USS YMS-103, USS YMS-92, and USS YMS-299 east of Okinawa Jima, Rykya. At 1654 a Japanese shore battery opened fire on this vessel. At 1657 we took a shell hit on the after part 50 caliber machine gun causing fatal injuries to F2/c Granville Lee Rumble 827 20 83, V-6 SW USNR. On April 8th, 1945 Captain Lt. Thomas C. Davies, Chaplain, USN 259405, and officers and members of the crew of this vessel conducted a burial ceremony at sea in the accordance with NavPers 15,046. At 1738 the bodies of 3 crew members (one Granville Lee Rumble, F2/c) were committed to the deep. Latitude 26 Degrees 07′ 45″ north, Longitude 127 degrees 18′ 45″ east. Note: Entered the service from Maryland. This entry was posted on November 6, 2013, 10:41 pm and is filed under During Battle, Photos, Soldiers, Stories, YMS-427. You can follow any responses to this entry through RSS 2.0. You can leave a response, or trackback from your own site.